Where was it snapped? Ireland – CORRECT!! But where in Ireland? I had several good guesses……BUT nobody guessed what town and actually I think that would have been fairly impossible unless someone had SEEN this cottage with their own eyeballs like my parents had in BUNRATTY FOLK PARK, BUNRATTY, IRELAND!! 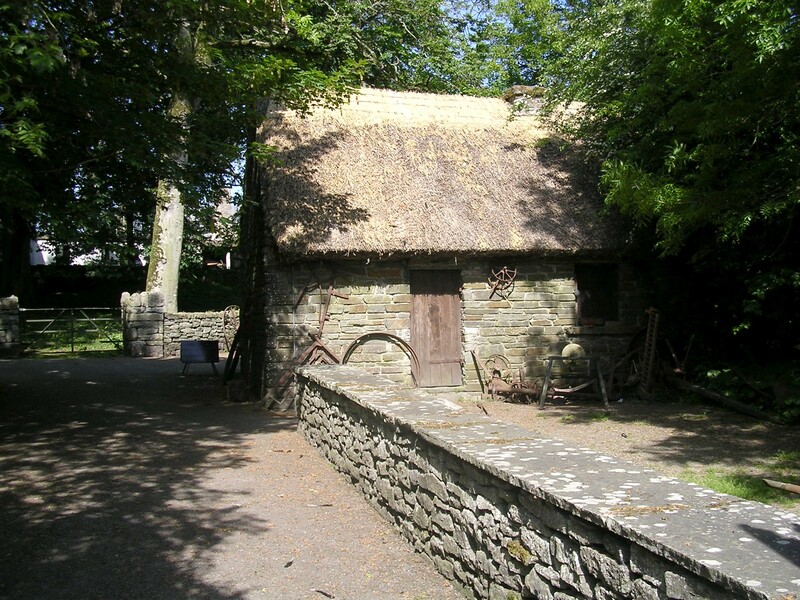 The Folk Park was this 47 acre park full of replica or in some cases actual historical cottages and outbuildings authentic to the past of Ireland. Lots of people wear costumes and “act” in the park and conduct business like feeding livestock kept on the grounds and harvesting cottage crops, etc. Very cool spot – and my parents started their wonderful trip to Ireland by seeing Bunratty Castle and this folk park on their tour. As I said, lots of you guessed “Ireland” but the FIRST to guess that was our Teaser Tycoon, EASY ! So he definitely gets the First Right Guesser Award but ALL of you who guessed Ireland get the Sammy Hug…….CONCATULATIONS all of you who recognized the thatched roof and cottage style as Irish. That it was lads and lassies – Aye – that it was me darlins’ ! The Much Coveted “First Right Guesser” Award….this week is EASY’s! The “I Guessed RIGHT!” award……goes to all of you who guessed IRELAND! As all of you know, there are tons of things going on right now in Blogville – the latest one involves two dear, sweet cats named Rachel and Ray Charles who have started out their lives in very pitiful straits but who have been helped with their situation by a lot of really caring people. 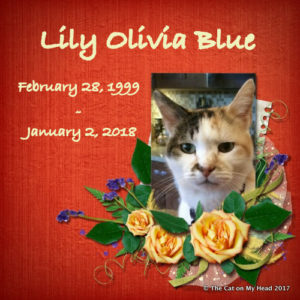 I read about them on Savannah’s blog – you can read about them too and help to spread the word perhaps to help them find a home. They will have a tough enough road ahead and a caring home should be the LEAST of their worries! 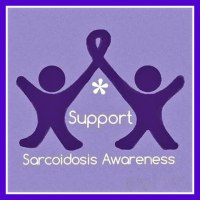 If you click on this badge that I got from Savannah’s blog, you can go visit her blog to get the story. Also, Mollie is still having a great raffle to benefit Benny – to help him with his HUGE medical bills for his cancer treatments so make sure and visit Mollie too! If you can’t keep up with all the activities going on around the blogosphere there are lots of great spots you can join to keep aware – I only talk about a FEW of them on my blog but there are TONS of them. 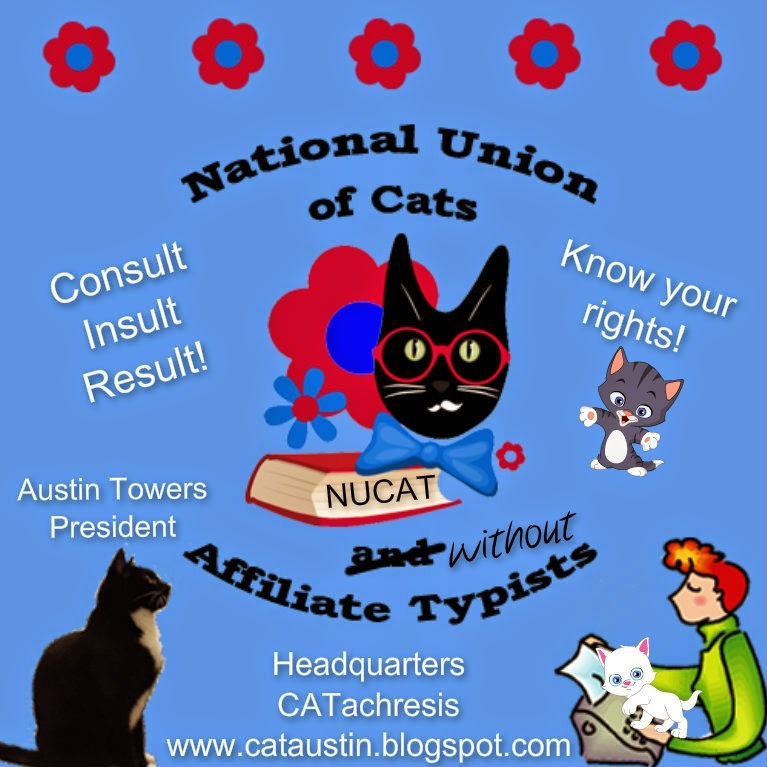 Cat Blogosphere and BlogPaws are only two BIG sites that have information on what’s going on. I’m sure there are others but I belong to both of those. 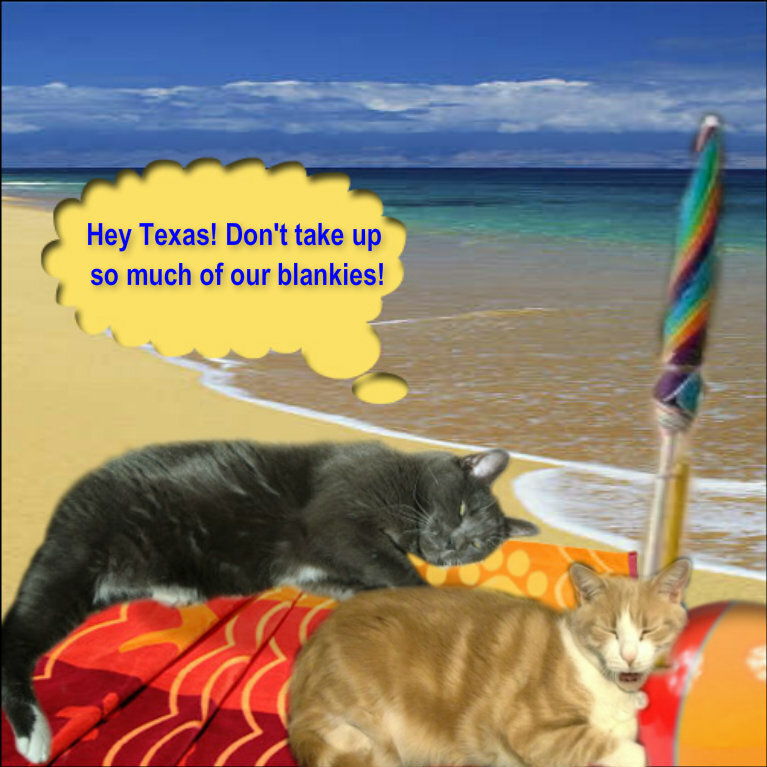 In fact (tee hee, snicker) I’m going to be in the 2014 Cat Blogosphere Calendar for the month of December!!! 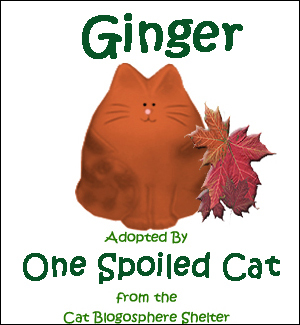 Just one of other kitties featured in that month of course but I’ll be there nonetheless – how cool is THAT??????? Well, I hope you all have a fabulous day – – – – – I think I will – – – – – right now I’m waiting for Mom to undertake the job of changing the sheets on her and Dad’s bed so I can enjoy playing in the new sheets and prevent her from putting the quilt back on. 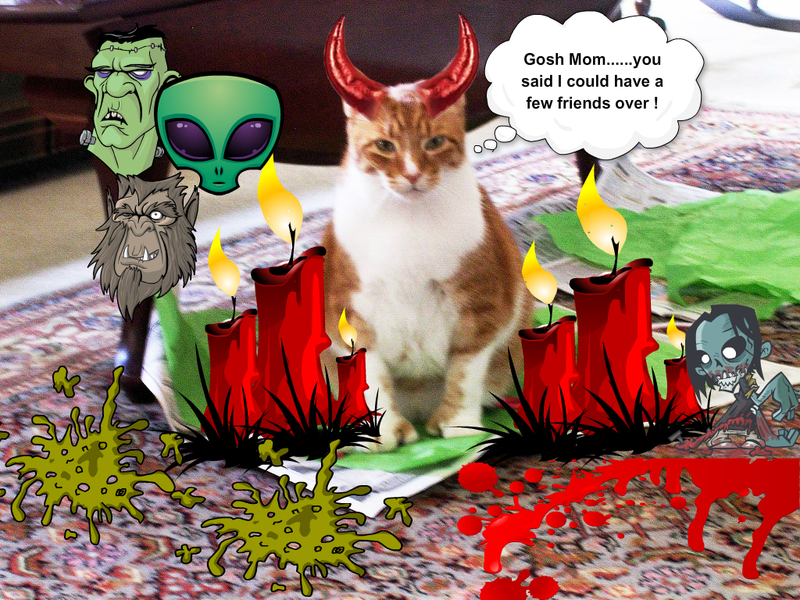 Just another little FUN thing I do every Thursday to keep OLD MOM on her toesies! Hi Teaser Buddies! Today’s the day……….yep here’s one for you and I’m not sure if it’s a toughie or an easy one. I think you deserve an easy one after last week but that remains to be seen !!!! See if you can guess where my parents were when my Mom snapped this beauty. I need to know city/country/state – the details puleeeeeeeeeeeze. Can’t say “Planet Earth” – that will NOT count. Whatcha think? Hmmmm???? You’ve got all day today to come back and peek at it again and again (or look at someone else’s guess and copy them if you prefer….hahahahaha). If you’re FIRST to guess the right mystery location for the photo, you get THIS! The Much Coveted “First Right Guesser” Award…. And if you get it right but you’re not first OR you don’t have a clue and don’t know and will never know, you’ll get the appropriate one of these!! Good luck gang – you know I’m pulling for each and everyone of you……………..
now come on – get to work examining that photo and send me your guesses!! Happy Monday! Now wasn’t that a super contest???? 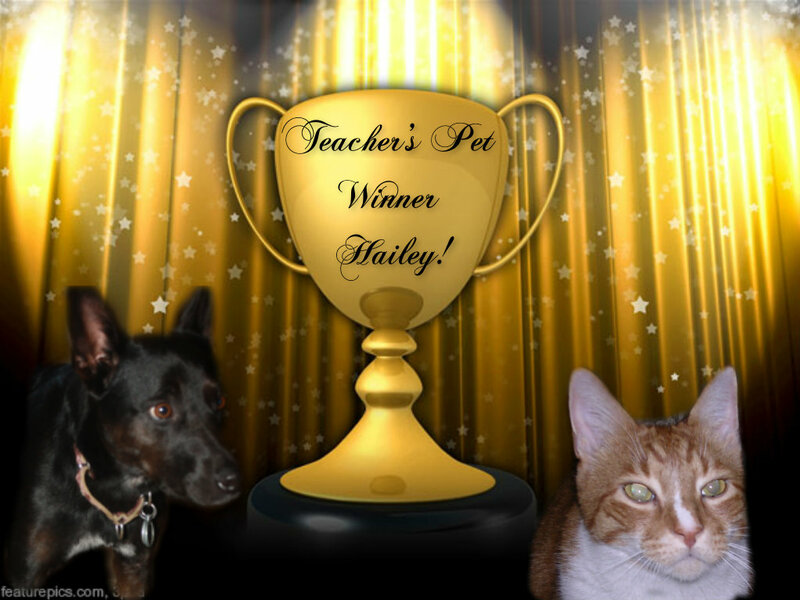 I thought so………….and you probably know who won if you’ve been keeping tabs on the contest but I closed the voting at 4PM Sunday and here are our FABULOUS winners……..
CONGRATULATIONS HAILEY – HERE’S YOUR WINNER’s BADGE !! CONGRATULATIONS NACHO – HERE’S YOUR WINNER’S BADGE!! Thank you everyone for entering the contest and voting and having such a great time with my SCHOOL DAZE contest! Winners, please email me with your snail mail addresses so I can send you your FABULULOUS surprise packages ASAP. Well that was fun but I’m exhausted…..! Tomorrow my friends is of course the world famous (well, maybe not the entire world but a lot of it anyway!) Tuesday Teaser so sharpen up your eyeballs and get out your maps, catalogs, travel brochures, and whatever else you need to figure out WHERE the photos were taken. The fun just never stops on ONE SPOILED CAT does it?!?! Almost Silent……but not quite……have to remind you all that THIS is the last day to vote in the polls…….AND after the polls, just one more thing – I promise – then you can have a SILENT SUNDAY! Last thing before I go??? 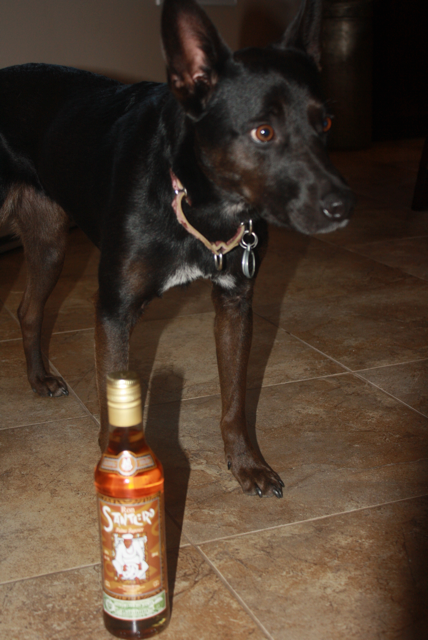 Well, I got my package from the Dachsies With Moxie blog auction last month to benefit the Moore Tornado Victims! 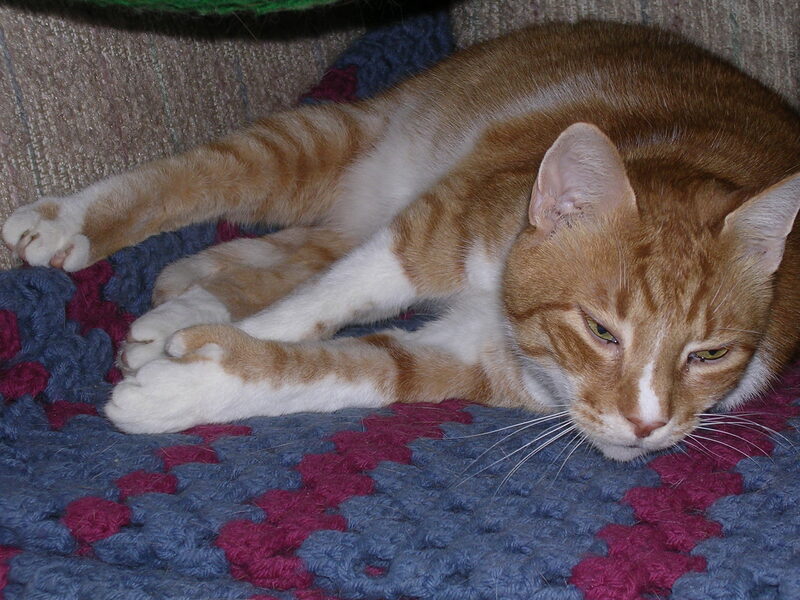 I was high bidder on some kitty blankets donated by Miss Dianda at Cats & Co. Yesterday I got my package from her ALLLLL the way from Holland! Excited? 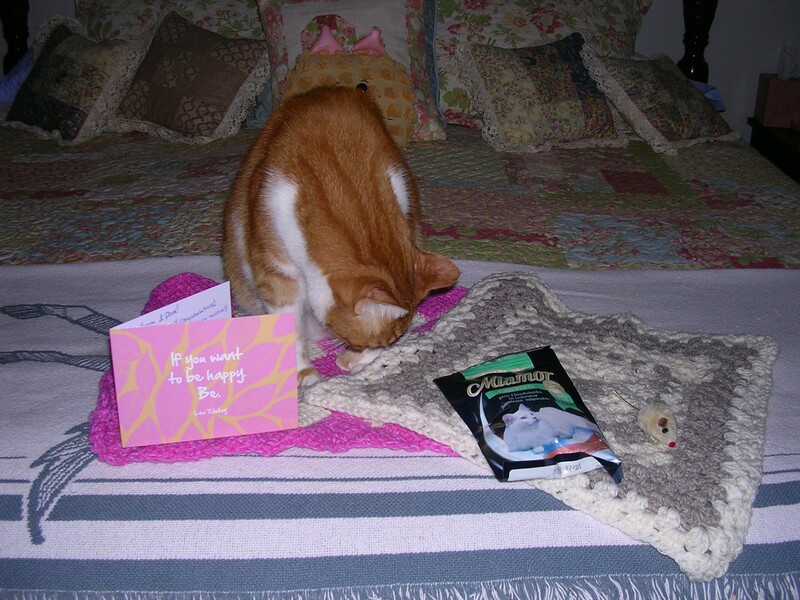 You betcha….and there was a mousie and some snackies as well as a card IN ADDITION to my two new blankies! WOO HOO……THANK YOU MISS DIANDA! Oh! 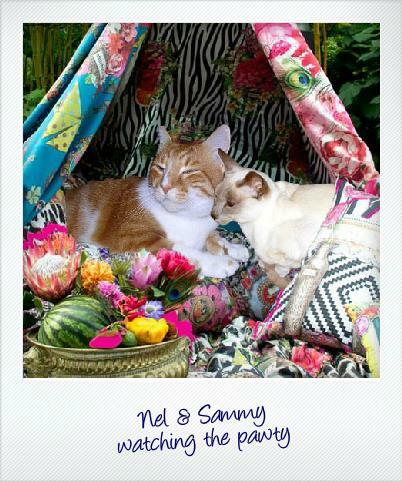 This is VERY nappable and cozy…..! 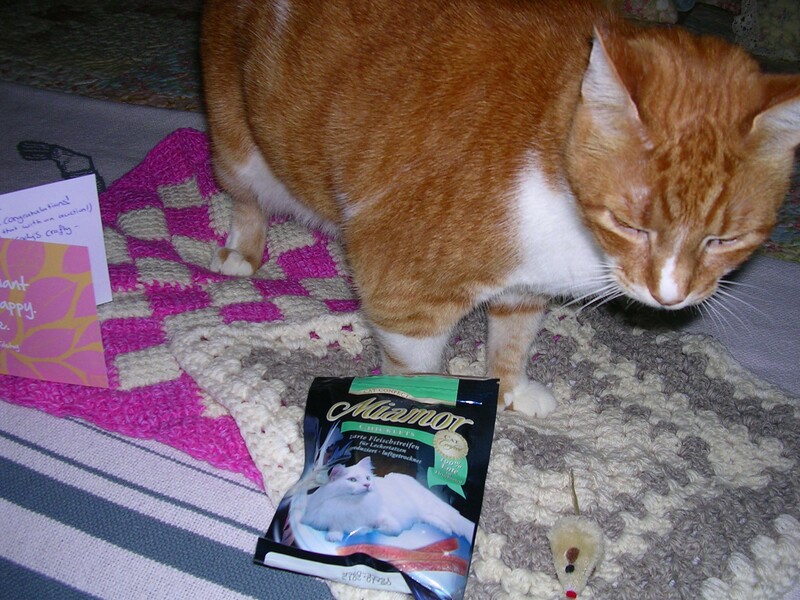 Treats and a mousie TOO? I’m so lucky aren’t I Mommy!!! Tomorrow – Contest Winners Announced !!!! 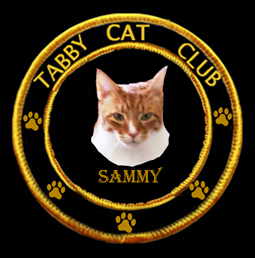 Hi Everybody and welcome to CATURDAY with Sammy! What an exciting day yesterday was. Lots of people stopped by to see the School Daze Contest entries and vote. Thanks to you for that and if you haven’t voted – go for it. Polls will close tomorrow at 4PM EST so there’s time AND you can vote for as many entries in each category as you wish! Here are the polls again and Savannah – I MANAGED TO GET YOU IN THERE!!!! Everybody Savannah has votes already – yesterday I couldn’t add her to the poll so asked for votes in comments and she got some…today you can CLICK to vote for her and everyone else! WOO HOO (thanks Polldaddy for cooperating). I also want to thank my super duper beautiful friend Misaki for nominating me for an award – this is a way cool award – it’s a “triple decker” one in fact. THREE IN ONE! I actually have all of these in “single” form but this is all three in one badge. Thanks Misaki for thinking of me. I’m linking back to you and going to come up with seven things about me (it’s getting tough to think of seven NEW things!!!) and while I’m suppose to nominate up to 15 friends, honestly I think everybody has these in single form but if you’d like the triple decker – PLEASE DO TAKE IT FROM ME MY FRIENDS – just follow the rules please. Link to the person nominating you (me! ), notify the recipients via comment on their blog, list seven things about you……. The last thing I want to tell everyone is that Mom and I were featured on our beautiful Canadian songwriter/singer/artist Cat Forsley’s blog “Fervour & Forever” yesterday. You can visit the blog to check it out HERE ! Thank you Miss Cat. You’re the BESTEST. That’s about it – don’t forget the polls will close tomorrow so vote while you can – and send your friends to vote if you’re in the contest! HAVE A SUPER CATURDAY EVERYONE! 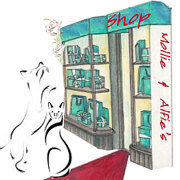 PEE ESSS If you haven’t bought raffle tickets at Mollie’s yet to benefit Benny and help him with his treatment costs, PLEASE DO! We have! Howdy Everybody! So today’s the day – because it’s almost time for school to start up again, I thought it would be fun to have a couple of contests in honor of the occasion. We have some great entries in the two categories. Just WAIT until you see! First of all, you may vote for more than one entry in each of the two categories….if you just can’t decide on ONE – pick more than one if you want to. That goes for EACH of the categories………..AND, the poll will be open until Sunday night so you can come back tomorrow AND Sunday if you want to think about it first. The MOST votes in each category will receive a prize package from ME! Woo Hoo! Doesn’t matter WHERE you live either – across the pond – at the north or south poll – or on an island in the middle of nowhere (as long as a mail boat can get your package to you!!). Remember, Category One was for those who wanted to show what they would give to their new teacher on the first day of school to impress her into making them the Teacher’s Pet!!! 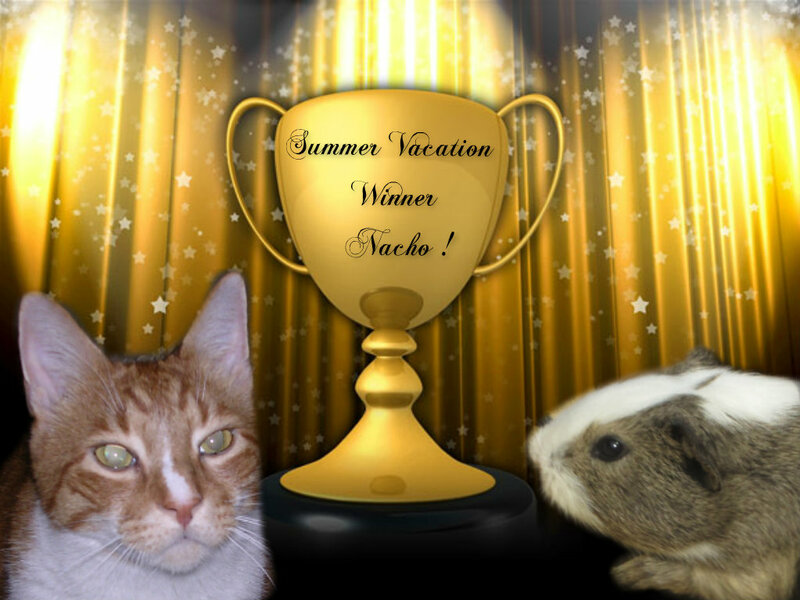 Category Two was for those who wanted to show us all how they spent their summer vacation from school!!! So, without further ado – here are the polls and GOOD LUCK TO EVERYONE WHO ENTERED! Don’t forget you can click on them to BIGIFY the pictures…………….. If you’d like to vote for Savannah – just tell me in Comments and we’ll count her votes there!!!! Sorry Savvy – you know how mean Polladdy can be! Tough huh? Well, just remember you can vote for more than one in each category. Thanks to all of you creative folks who sent in photos – what a lot of fun this has been – and it’s not over yet! I can’t wait to see who the two winners are and I bet you can’t either……………TEE HEE! 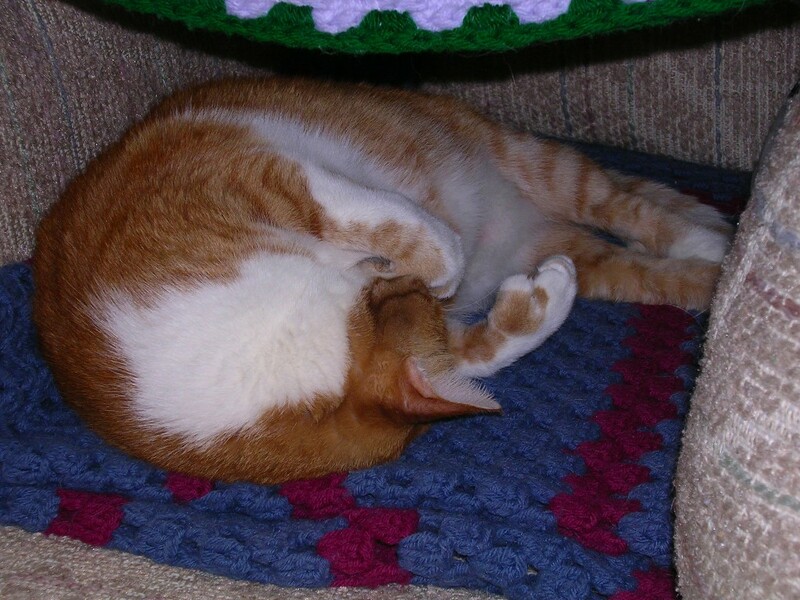 Now if you’ll excuse me, I’m taking a nap – getting the poll ready was exhausting! See you tomorrow! I’m gonna sleep through the Monster Activity today and be bright and chipper tomorrow! I promise! Hi Everybody! 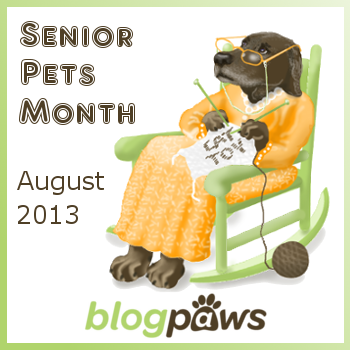 Did you all know that August is Senior Pet Month? Did you? Well I did – and I think you know WHY I did. I am a senior and proud of it. Yep – thirteen years old and still hanging in there. I know lots of cats and dogs who are older than that and still healthy. We know that has a lot to do with our human companions and how well they take care of us but also sometimes it’s our genes (designer genes of course!). I think I live with the perfect human family. Why? Well for many reasons but one of them is we are ALL “Seniors” ! That’s right – my parents are both SIXTY FIVE OR OLDER……. 😀 😀 😀 😀 so we’re all hobbling along together taking care of each other forever. So all of you “Seniors” out there – humans included – let’s celebrate the rest of the month by keeping a smile on our faces and being grateful that we’re still here and lovin’ life! 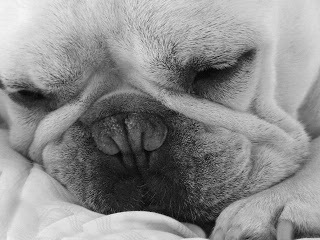 Now you all know about MY contest – and I hope you plan to enter (CLICK HERE FOR DETAILS), but there’s also a pawsome raffle happening at Mollie’s right now to help out everybody’s friend Benny from Two French Bulldogs. His medical bills to treat his cancer are HUGE…..every little bit helps……Mom and I bought some tickets yesterday and if you can help, please do by visiting Mollie and Alfie. 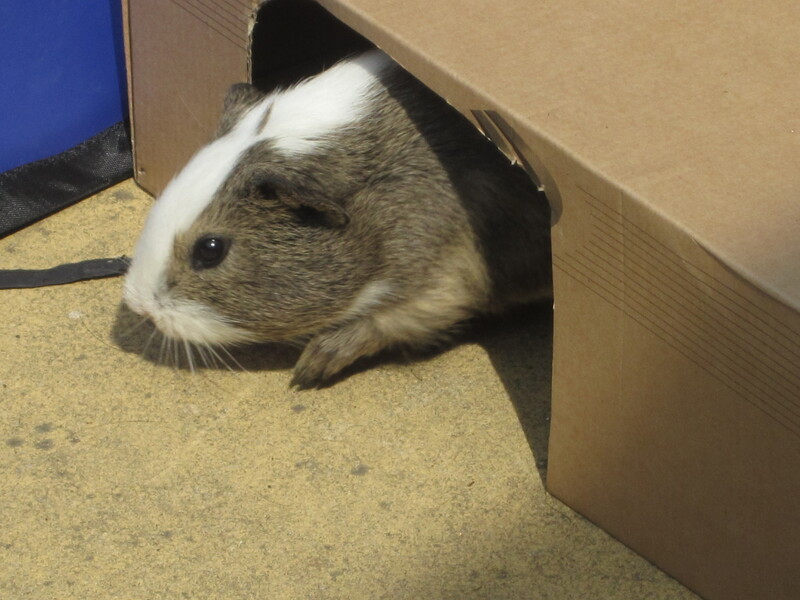 We think Benny is very brave. We’re pulling for you Benny! Back to my contest for a minute – TODAY IS THE LAST DAY TO ENTER – tomorrow I’ll have the voting poll up and you’ll get to vote for your favorites in the two categories………..”What I Did On My Summer Vacation” and “I Wanna Be The Teacher’s Pet”……..just wait until you see what some of our bloggy buddies have been up to!! I know you’re all tuned in this morning to find out who the FIRST RIGHT GUESSER was and who ELSE guessed the right place where these photos were snapped by my pawsome parents! Isn’t this a way cool looking place? My parents snapped a LOT of photos while they visited here. Where is “HERE” you ask? 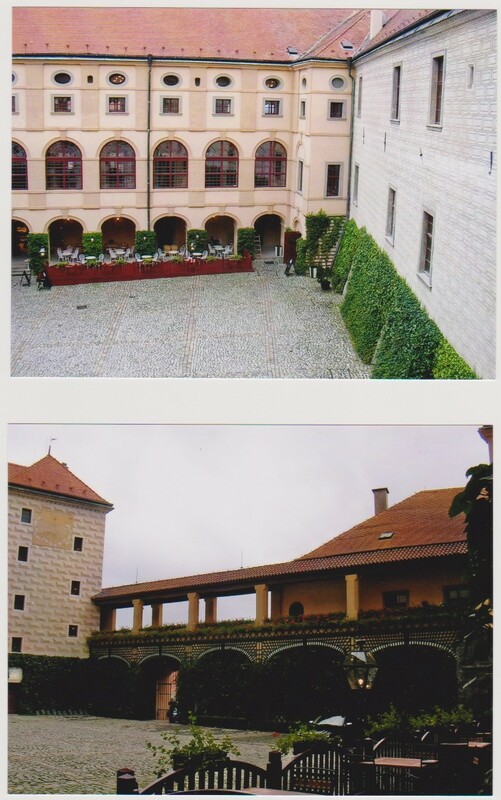 It’s Melnick Castle (also called Melnick Chateau) just outside of Prague in the Czech Republic!!! They have a winery there too and my parents did a wine tasting thing (of course) while they were there. NOBODY GUESSED IT RIGHT – NOBODY!! So my friends, everybody gets this today – EVERYBODY! It seems to me this might have only happened once before – where nobody got the Teaser right. I’m sure it will never happen again (but I also know you should NEVER say “NEVER”!!). Thanks to everyone for guessing though. 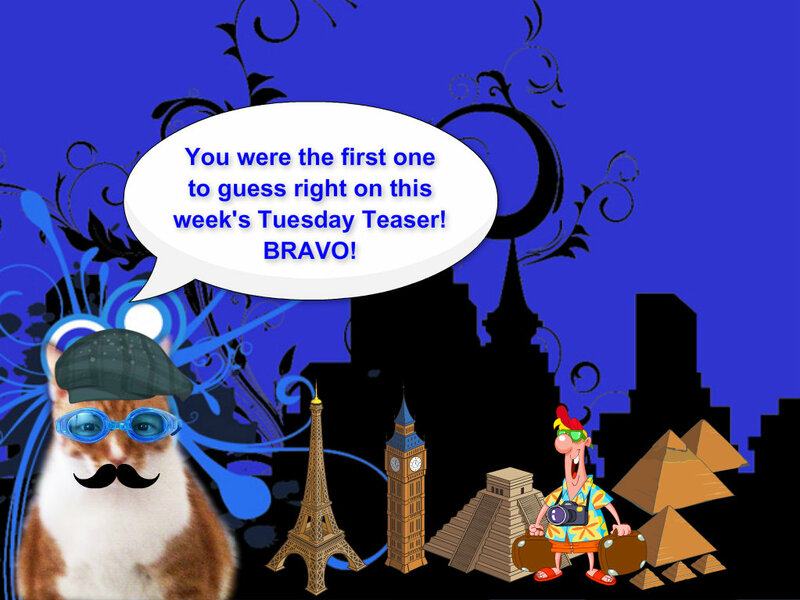 It was fun as always to get all the different guesses – wondering if someone would guess correctly. I know – I’m a little devil for driving you crazy yesterday right???? Me in my devil costume….. YES THERE ARE PRIZES SO SEND IN YOUR PHOTOS THEN BE PREPARED FOR A POLL ON FRIDAY SO YOU CAN VOTE FOR THE WINNERS!!!! 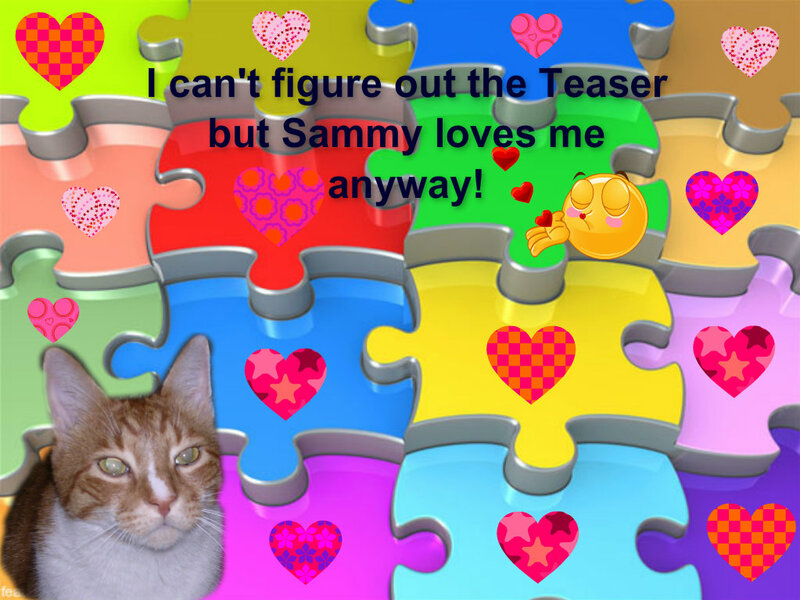 Happy Teaser Tell All – see you tomorrow!! I THINK I have a good one for you today but sometimes when I think that – you’re too smart and have it figured out ANYWAY! I’m posting TWO photos this time – so you can examine both – I don’t see any giveaway stuff although it constantly amazes me that SOME people (that means you Easy) can find clues that I don’t see! Here’s your goodies for today! And you know that even though you might not know where the Teaser photo was taken, you’re still my buddy forever and always so perhaps that’s SORT of a prize huh??????? 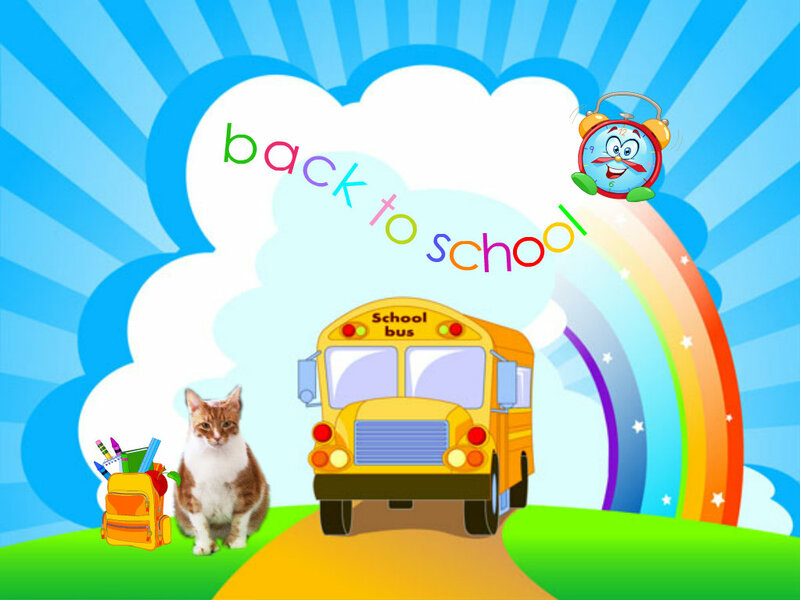 Now just in case you missed it, yesterday I announced a contest – yep – a “Back to School” contest…….and there are PRIZES and you have to get your entries in to me by Thursday because Friday there will be a poll and YOU will vote for the best in each category! Yep – YOU vote! Just click HERE to read the post, get the rules, then send me your entries – I’m already getting entries in BOTH categories – you don’t wanna miss out on the fun now do you???????? WOO WOO – LET’S HAVE SOME FUN !!! Yesterday the little boys next door were talking about how excited they are to be going back to school in a few weeks. My Mom says she remembers when she was a kid that SHE was excited about school (not so much when she got older though….. 😀 😀 :D). Anyway, I thought just for some fun (and prizes of course) we’d have a bit of a contest – how’s that sound? AND – there will be TWO categories you can enter……………..you can only enter ONE of these!! 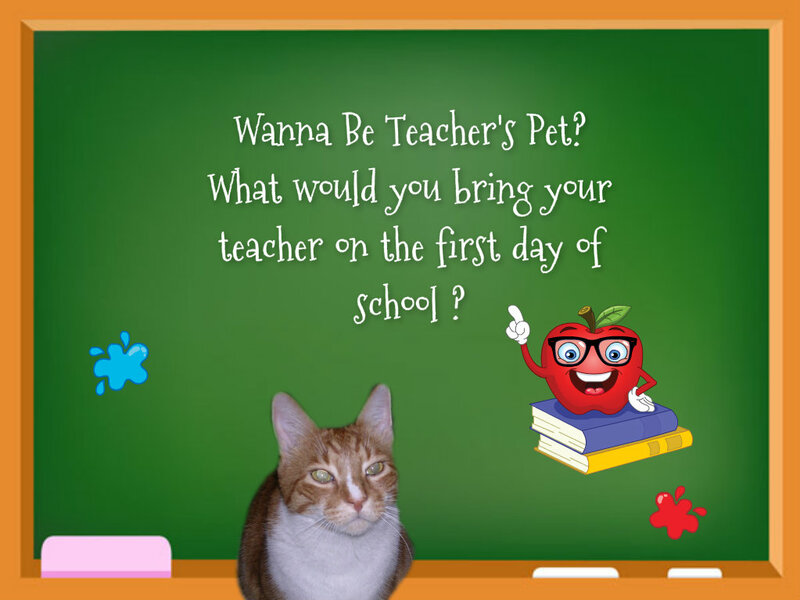 If you were getting ready to go back to school and wanted to be the Teacher’s Pet (tee hee), what present would you take her that would be so fabulous that she’d pick YOU to be her “Pet” ?????? Hmmm??? And I’m not saying give her a check for a bazillion dollars either – I mean something totally awesome that she could put on her desk that she’d be so impressed with that you’d be her favorite kid in the classroom. SO, here’s the deal on Category One – you have all this week to come up with a picture of what you’d bring the teacher the first day – send it to me in an email (junekimm@aol.com) with the subject “CONTEST ENTRY” ! OR – you can enter the other category…. 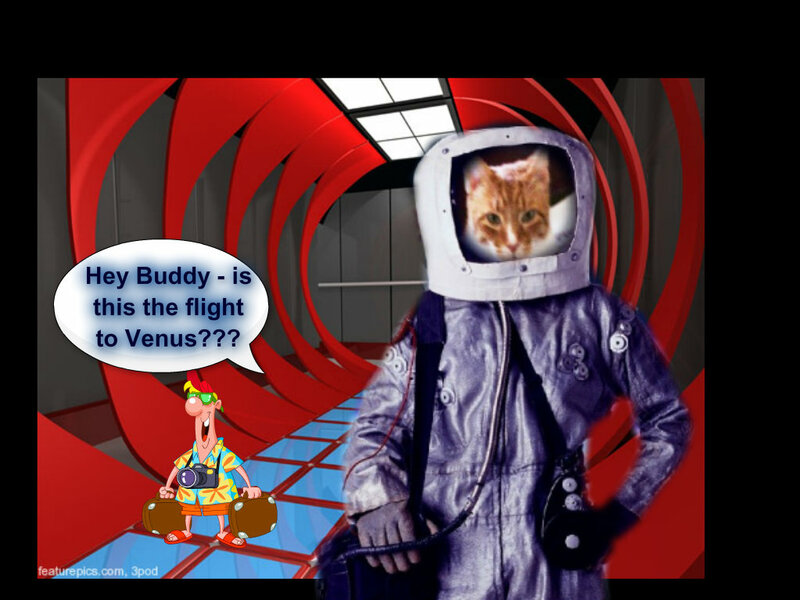 I had a very interesting summer away from school – decided to take a little trip to scout out locations for another camping trip – only this time I thought we’d go to another PLANET to camp! Anyway, if I were entering the contest in Category Two this would be my entry. Cool huh? So your photos for EITHER category can be photoshopped, Pizapped, REAL, whatever – doesn’t matter. Just make sure you send ONE PHOTO in and tell me WHICH CATEGORY YOU’RE ENTERING…………Got it? Then this Friday we’ll have a poll with YOU voting for the BEST photo in each category. Winners will get a PRIZE – a real PRIZE – how’s THAT sound? One prize for the winner of each category. Put your thinking caps on………………you have until Thursday to get your photos to me – any questions please ask in comments and I’ll respond – then Friday the poll will go up and you will have a chance to see everybody’s entries and VOTE! 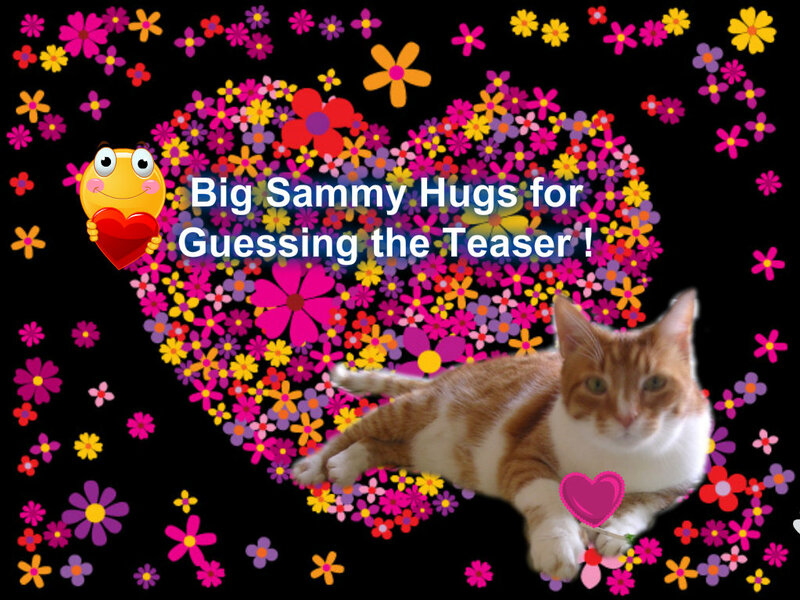 Meanwhile, don’t forget tomorrow is Tuesday Teaser…………WOO HOO…………….I’m looking for a REAL “stumper” too so watch out (you too Easy!). Have a GREAT Monday and get to work thinking about what your present to the teacher would be if you wanted to be the Teacher’s Pet!